Recently, an education leader remarked to me that “the concept of a computer lab is obsolete”. The comment surprised me. In our blended learning research at the Christensen Institute, we see schools implement blending learning using technology along a wide spectrum, from a lab of desktops to 1:1 hand-held devices, 3D printers, VR headsets, and more. We also observe that at the end of the day, technology isn’t the most important component of a strong blended-learning program. Rather, good pedagogy partnered strategically with technology (even a plain-old computer lab) holds great potential to make a powerful learning impact. 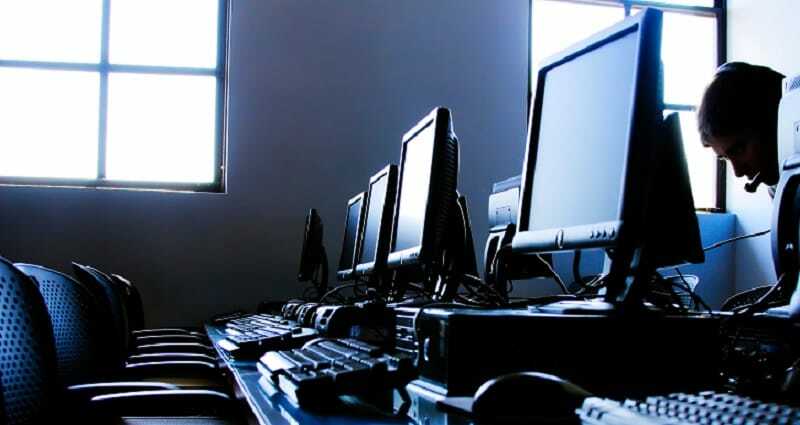 In fact, computer labs are still a key stepping stone for many schools aiming to transform instruction. Both in the US and beyond, many schools want to leverage the opportunities that come with online learning, but don’t have the resources and bandwidth (literally) for the latest devices and the infrastructure that more and newer technology requires. In our BLU directory, many schools profiled are differentiating in important ways for their students, in part thanks to access to a computer lab. The Lab Rotation is a popular blended-learning model that integrates teacher-facilitated online learning in a lab setting with face-to-face instruction and other offline learning modalities in the classroom. Last year, the Institute’s BLU team took a deeper look at blended learning beyond the US. Based on that research, one of the most common models we found adopted by schools across Brazil, Malaysia, and South Africa was indeed the Lab Rotation. Overall, in our BLU database of 640 schools and districts (and counting), there are over 100 examples of schools implementing this computer lab-based model, from Louisiana to California to India. What’s happening in these models? Let’s look at a few Lab Rotation profiles from the BLU to see how and why this model can make a difference when it comes to enhancing students’ learning. At this private school in Mumbai, Lab Rotation allows half the class (a hefty 30 students) to spend time on technology while the other half receives individualized support from the teacher. The lead teacher instructs students in the classroom while a teaching assistant facilitates learning in the computer lab. The groups rotate between these two “stations” on alternating days. In the computer lab, students are engaged on a self-paced, adaptive learning program called Zaya. The teaching assistant in the lab looks at student data from Zaya to better support individual students with their online learning. Guru Nanak adopted the Lab Rotation model as a feasible means of differentiating instruction in such a large class. The school reports that now all learners can make progress in the curriculum on any given day. The teaching assistant, with data from Zaya, reinforces this by providing students with personalized learning reports to help the student and both teachers track progress transparently. Blended learning is about creating a flexible space where teachers leverage tools—tutors, online learning programs and their peers—to engage kids in a personalized-learning experience. To this end, this California CMO has been implementing Lab Rotation for over a decade. In Rocketship’s model, students spend most of their day in the classroom setting. About half of the day is spent in a humanities block and a quarter of the day is spent in a math block, with separate teachers who specialize in their respective subjects. Students receive large group instruction, experience small-group and team learning supported by iPads and Chromebooks, and receive targeted intervention from their classroom teacher. Students then rotate into Rocketship’s Learning Lab for adaptive online learning, additional small group instruction, team learning and targeted intervention—all led by Rocketship tutors. The learning lab is led by individual learning specialists with the support of assistant principals. The biggest results of Rocketship’s Lab Rotation? “High level of student engagement and ownership in their learning. Teachers and students actively use their data to reach and understand student goals. Teachers are strategically planning lessons based on student data,” according to Rocketship Public Schools. Rocketship’s Lab Rotation approach also inspired SPARK Schools to launch a new kind of independent education program in South Africa fueled by a similar blended-learning model. Like Rocketship, SPARK Schools started with a Lab Rotation model in its primary grades and over time has developed a Flex/Individual Rotation hybrid model for its upper-elementary and middle school students. Yet Lab Rotation remains a core piece of the lower primary learning design. SPARK has become a beacon for blended-learning implementation in South Africa as it scales a quality alternative to public education that is also affordable. Do computer labs symbolize the “future of learning”? Probably not, particularly as mobile penetration grows rapidly. But with pedagogical savvy, educators continue to take advantage of them to help create better learning experiences for students in the present. Which blended-learning model(s) do educators use in your school or district? Use a BLU profile as a platform to tell your story. « Show me the evidence: Do new staffing arrangements actually work?